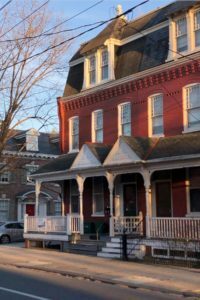 Following our multi-part series on architect C. Emlen Urban, this is the first in a series that will focus on another architect whose talents had a lasting impact on Lancaster County. Although his portfolio of local work was varied and his list of clients impressive, Henry Y. Shaub’s real fame as an architect was what he was able to accomplish in the classroom. This Lancaster native was acknowledged throughout the eastern United States as the leading authority on school design. He would sit among the students to understand how the physical environment, including natural light, acoustics and special relationships, could affect their ability to learn. A rising star in his own right, this young architect was often overshadowed, but not intimidated, by his 24-year-older contemporary C. Emlen Urban. At 25, Shaub struck out on his own and promptly entered and won a nationwide competition to design the highly sought-after Lancaster YWCA commission in 1915. Little has been written about this noteworthy architect who followed in the footsteps of Urban. He not only continued to reshape the architectural landscape of our community, but also to shape the minds of our children through designing better environments for learning. This series will focus on the diversified work of architect Shaub including the Lancaster YWCA (c. 1915); Posey Iron Works (c. 1918); Shaub Shoe Store (c. 1929); Manheim Township’s Brecht Elementary School (c. 1929); J.P. McCaskey High School in School District of Lancaster (c. 1936); and Groff Funeral Home (c. 1950) — just to name a few. Shaub’s innovation and bold design ideas earned him an honor that only 3% of all architects achieve: being named a Fellow of the American Institute of Architects. The fellowship distinction is reserved for architects who have made outstanding contributions to the profession. Born Oct. 13, 1887, Henry Y. Shaub was educated at Bordentown Military Institute and Franklin & Marshall Academy, then received an architectural degree from the Carnegie Institute of Technology in 1909. In 1912, he married Bertha Barron, an orphan who had been raised at the Northern Home for Friendless Children in Philadelphia. They would continue living with his parents, at 246 E. Orange St., for a decade. Records indicate Shaub registered for both World War I and World War II, but he would never serve in the military due to being described as “crippled from infantile”. Posted on April 12, 2019 by rlps. Spring is a busy time for conferences at RLPS. It’s a great opportunity for sharing ideas, learning new things and connecting with our clients and business associates. Please let us know if you will be attending any of the upcoming conferences so that we can say hello. Environments for Aging (EFA) – April 7 – 10; Salt Lake City, Utah / Get Smart: Smart Home Design Strategies to Improve Quality of Life & Support Aging in Place by Patrick Sampsell, Masonic Villages and Dan Godfrey; Make Your Marque: Holistic Branding Strategies for Senior Living Communities by Rob Love, Love & Company and Jessie Santini; Community Conversation: Designing for People Living with Dementia by Michael Smith, Livewell Alliance, Inc. and Dustin Julius and Better Baths and Creative Kitchen Designs by Eric McRoberts and Jessica Jack. Posted on April 2, 2019 by rlps. The old adage “Bigger is Better” is not necessarily true as it relates to housing for seniors. 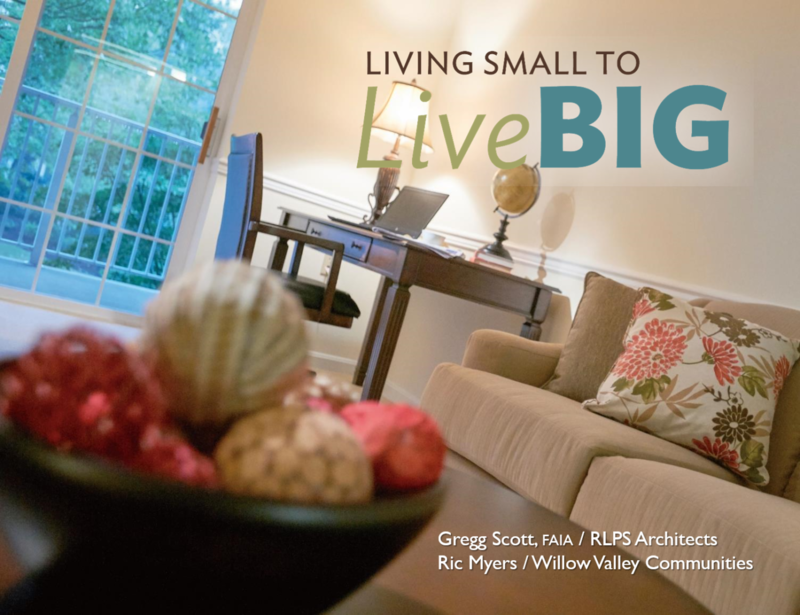 Gregg Scott, FAIA, Partner Emeritus at RLPS and Ric Myers, Director of Marketing at Willow Valley Communities assert that the size of an independent living unit, either free-standing or within a larger building, is not the determining factor in its marketability or financial success. Rather, efficient use of space, the quality of the finishes, access to the outdoors and natural light, inviting spaces and amenities and flexibility are now the benchmarks for marketable and financially successful housing for seniors. 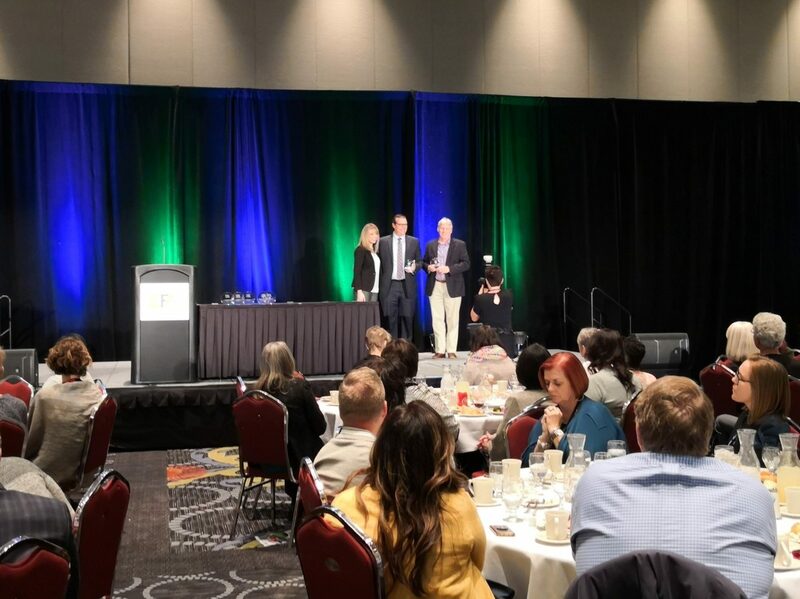 Changing the paradigm from the size of the space to thinking about how one lives in the space and what’s important for living comfortably is the focus of their presentation which can be downloaded here: MPRS 2019-03-22 Living Small to Live Big WEB. Posted on March 25, 2019 by rlps. Cassius Emlen Urban’s 53-year career was nothing short of extraordinary and his contributions were immeasurable. He singlehandedly introduced Lancastrians to a new vocabulary of bold and sometimes uncomfortable architectural styles. Prior to Urban’s arrival in 1884, red and brown tones comprised the downtown Lancaster color palette and the architectural styles were predominately Queen Anne, Georgian and Federal. 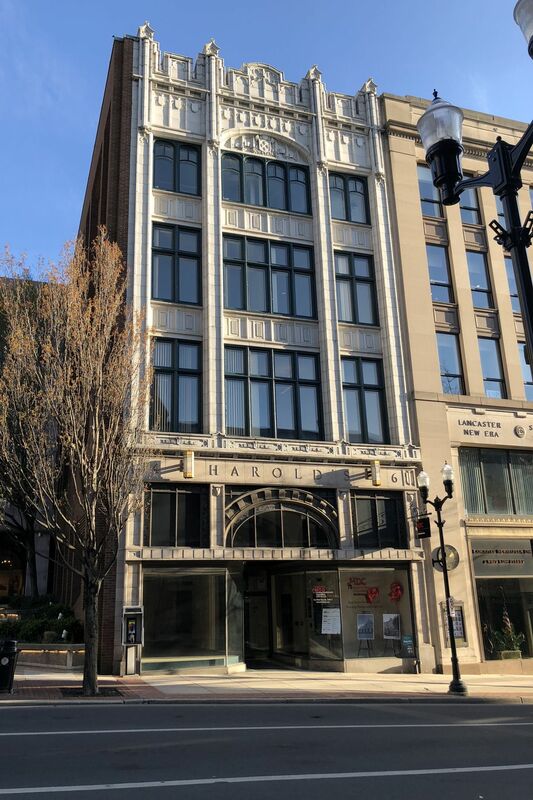 This quickly changed in 1892 when Watt & Shand debuted Urban’s French Beaux Arts style department store in the heart of Penn Square. One by one, other city merchants retained Urban to help them advance their own images. 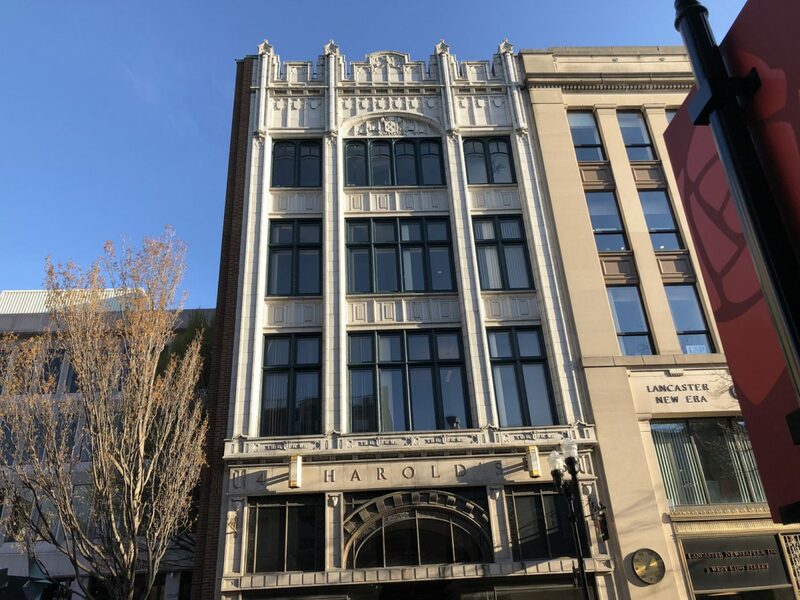 The next 30 years saw a dramatic transformation in the scale and texture of the downtown landscape including French Baroque, Italian Renaissance, Perpendicular Gothic, French Renaissance, and fresh interpretations of Romanesque and Greek Revival. But what do we really know about the architect behind the pen? How did he do it? What made him tick? Did he ever sleep while designing more than 273 buildings? 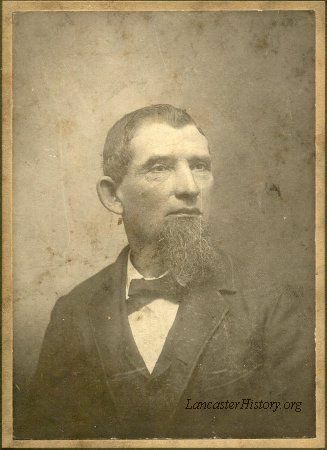 We do know that Urban was the second child born to Conestoga residents Amos and Barbara Anne Urban on February 20, 1863. His formal education ended after graduating as the valedictorian of his high school class, followed by a four-year apprenticeship with two unique and well-established, but completely different architects in Scranton and Philadelphia. Shortly after starting his private practice in 1884 at the age of 21, Urban married Jennie Olivia McMichael in her parents’ home at 28 East Lemon Street. He was 23 and Jennie was 24. The couple moved to 141 East New Street to begin their life together and raise their two children: Miriam and Rathfon. Rathfon and Urban’s younger brother Christopher Urban, and nephew Frank Urban were employed by Urban over the course of five office relocations in center city. Beyond these gentlemen and his head draftsman, Ross Singleton, little is known about his office personnel. What Urban lacked in physical stature at only five feet, six inches tall, he more than made up for in his larger than life personality and engaging blue eyes. 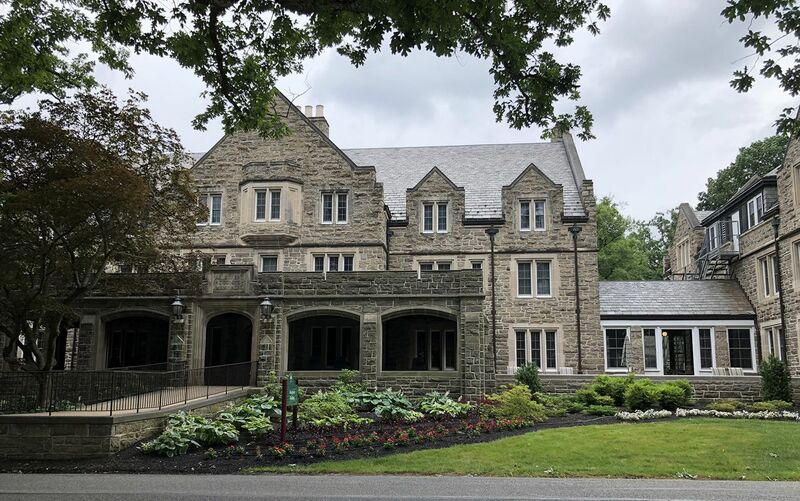 His social and business connections in the community were second to none, holding court with notable local figures including Milton S. Hershey, Peter Watt, James Shand, Herman Wohlsen, Christian Guzenhauser and Congressman William W. Greist. Research to date has come up short on a significant number of portrait or family photos, with a grand total of five found so far. We do know he traveled extensively to Europe, South America and the Mediterranean from 1911 through 1934, which were also the most prolific years of his practice. Although his public designs were quite progressive, his style preference for the two residences he designed for himself was the conservative and understated colonial revival. Under the heading of trivia: on November 16, 1911, the Lititz Record reported that Urban, an “excellent fisherman”, landed the largest bass ever recorded in the Susquehanna River at Peach Bottom. Weighing 6.25 pounds “he lifted the fish with pole and reel and fed a multitude of Urbans.” Unrelated, the October 6, 1934 edition of the Gettysburg Times reported that his Buchanan Avenue home was burglarized by a 21-year-old suspect from Atlanta, Georgia! And lastly, to his grandchildren, he was known as Baba! Author’s Note: It has been an honor to share C Emlen Urban’s story with you these past two years. A special thank you to his great granddaughters, Miriam and Alexa, for their insightful contributions and Deb Oesch and Alex Kiehl for their incredible discoveries and research assistance. For this month’s full article and photos: Tying up the life of a legend: architect C. Emlen Urban and links to previous articles in the series, visit LNP On-line. Posted on March 17, 2019 by rlps. With more than 24 months of research completed, there is sufficient evidence to claim that C. Emlen Urban designed at least 39 different building types that encompassed 25 architectural styles! Essentially, Urban spoke 25 languages and possessed enough knowledge to understand the design components, nuances and requirements for nearly 40 different categories of buildings, ranging from a single-story residence to a 14-story skyscraper and everything in-between! As prolific as Urban was in producing over 273 designs during his career, there are a fair number of “one-off” commissions in his portfolio–defined as building types or design styles that he only designed once. Some were quite glamorous, while others were rather mundane. The following are a few of Urban’s one-offs: a bakery, funeral home, community center, hospital, children’s home, freestanding farmers market, movie theater, YMCA, drug store, tobacco shop, insane asylum, opera house interior, tavern, Moose Lodge, home for the aged, a storybook style cottage, a church crown and storage garages. All are worthy of mention and a few certainly deserve additional explanation. In April of 1898, Urban and other representatives from Lancaster County were directed to tour and inspect insane asylums around Pennsylvania to gain knowledge prior to beginning the design and construction of a new state of the art facility for Lancaster. The end result was an attractive three story red brick structure designed to support the latest concepts in the moral treatment’ of patients with a special focus on the psychological and emotional state of the individual. Beyond design concepts, Urban introduced the latest building technologies including refrigeration, production kitchens and mechanical systems. The structure remained in use for 70 years. 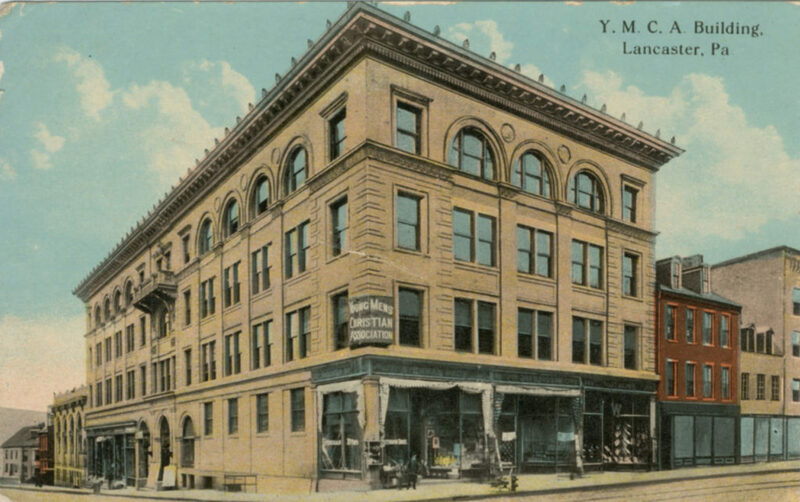 The five story Lancaster YMCA was constructed at the corner of North Queen and West Orange Streets in 1900. Urban was just 37 years old when he designed this monumental Beaux Arts building complete with an indoor pool. He only designed this one YMCA in his career. Interestingly, the building type that launched his career in 1888 was a ‘one-off’ design. The free-standing Queen Anne style Southern Market was heralded as ‘one of the grandest in size and appearance’ in the city. The 873 seat Grand Theatre, located at 135 N Queen Street, offered movies to audiences from 1913 through the 1960s. This one-off design by Urban was considered a showpiece for movie goers. For any architect, designing a hospital requires a great deal of knowledge, trust and communication with the stakeholders. The 1902 three story Georgian Revival Lancaster General Hospital designed by then 39-year-old Urban was his sole free standing medical hospital. All architects fall on hard times sometime during their careers. Perhaps 1919 was a slow year for Mr. Urban when he agreed to design a row of one story garages on the 300 block of N Queen Street. These simple red brick structures survive today and now house the retail shops of Building Character one hundred years after they were built! Can anyone deny that Urban was clearly a ‘one of a kind’ architect himself? Posted on February 19, 2019 by rlps. The 2018 RLPS Gingerbread Display made its debut to the public on Wednesday, December 12th from 5 pm – 7 pm for the first of three public open house nights. You are also welcome to view the display on the following two Wednesday evenings: December 19th and 26th from 5 pm – 7 pm. No admission will be charged, but you will have the opportunity to donate non-perishable food items for the Water Street Mission during each open house. The food drive is optional for those who wish to participate. Thank you to past attendees who suggested the idea. There are likely to be long lines each night, so please plan accordingly. Please no pets. Doors open at 5 p.m.
RLPS Gingerbread 2018 Winners, based on votes by our clients and business associates. Posted on November 23, 2018 by rlps. 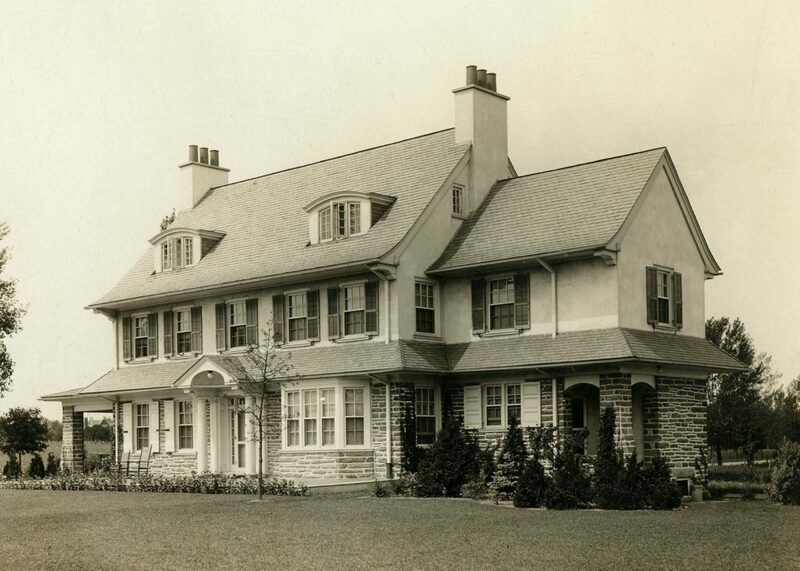 On January 19, 1914, Milton S. Hershey wrote an unsolicited letter of reference to U.S. House of Representative William Walton Griest espousing the merits and talents of Lancaster’s young architect C. Emlen Urban. 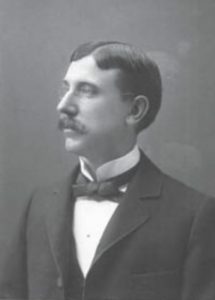 Hershey concluded the endorsement by stating, “We have a great deal of confidence in his ability as an architect and can safely recommend him as being very capable and very honorable in his line of work.” Ten years later, Lancaster City would see its first skyscraper rise 14 stories above Penn Square. 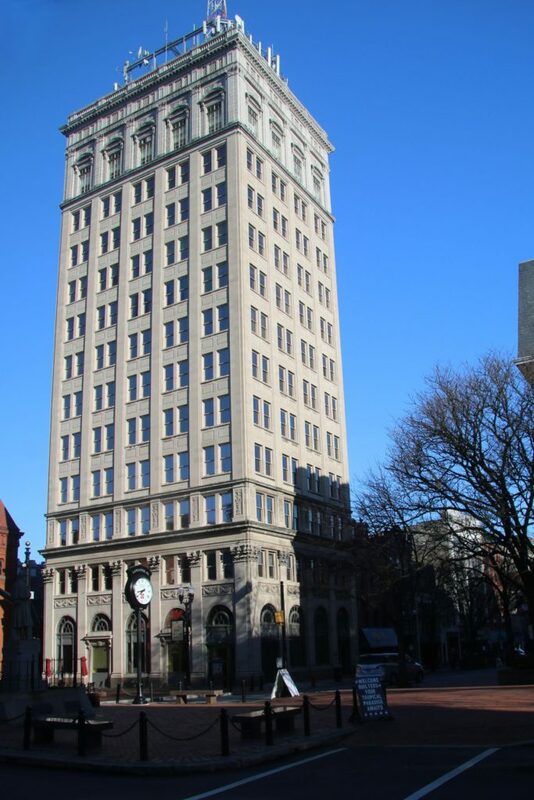 It would retain its distinction as the tallest building in Lancaster for 80 years. Supporting the claim that relationships build buildings, Hershey, Griest and Urban were mutual friends and business acquaintances for decades, sharing common ground through social clubs, education and politics. 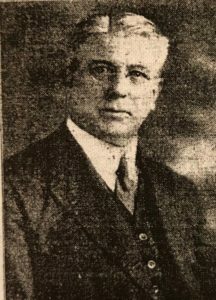 Griest was president of three Lancaster public utility companies: Conestoga Traction Company, Edison Electric Company and the Lancaster Gas Light and Fuel Company. The boards of directors commissioned Urban to design a signature structure to honor Griest and house their expanding businesses. Urban chose two of the most popular styles of the time, French Beaux Arts and Italian Renaissance Revival, to define this landmark skyscraper. The structural steel frame permitted fast construction and had an immediate impact on the city skyline. 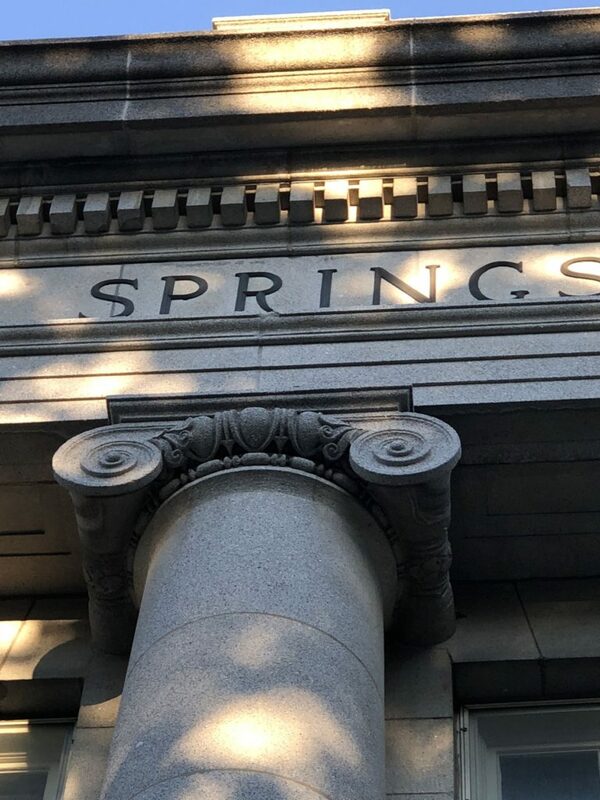 At street level, pedestrians enjoy Urban’s gift for humanizing large buildings through his use of graceful arches, decorative stone panels with shields, festoons, urns, pilasters and even stone rope. The 12th, 13th and 14th floors comprising the building’s crown included a 300-seat auditorium and ballroom with a green and gold frescoed ceiling. The exterior of the crown is a well-proportioned and beautifully detailed example of Italian Renaissance architecture with glazed terra cotta arched pediments, dentils, curved brackets, balustrades and even a lion’s head cornice. The full article C. Emlen Urban’s Griest Building Boosted Lancaster in the Skyscraper Age is available on LNP News. Posted on November 14, 2018 by rlps. In 1910, Urban was commissioned by the Union National Mt. Joy Bank to design a structure that would speak to strength and security and remind customers that their accounts were in safekeeping. He chose a massive masonry limestone symmetrical structure in the Beaux Arts style to reflect that message. The classic Greek design elements, including paired two-story tall ionic columns, flanking pilasters and an oversized entablature with parapet, reinforce strength and security. In 1912, Milton S. Hershey commissioned Urban to design a building that would impress the public and encourage people to start saving for the future. The two-story marble, brick and granite Renaissance style structure includes a well-proportioned Greek pediment and entablature resting on paired columns. The interior is as impressive as the exterior with marble flooring, mahogany millwork, and an imposing vault door, topped by a 30 day wall clock flanked by lions representing time and strength. Located at the intersection of Cocoa and Chocolate Avenues, the Hershey Trust Company still retains its impressive public stature. 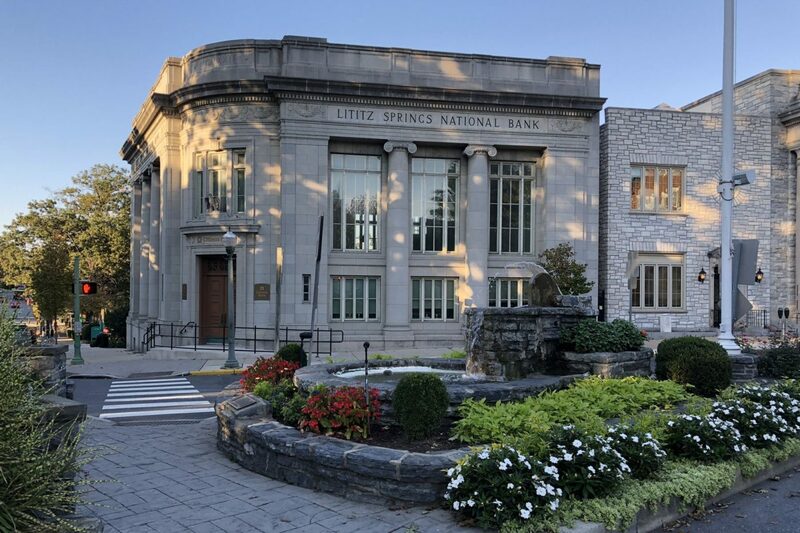 Urban’s third design, Lititz Springs National Bank, was designed in 1922 and holds the distinction of being his only bank with a corner entrance. 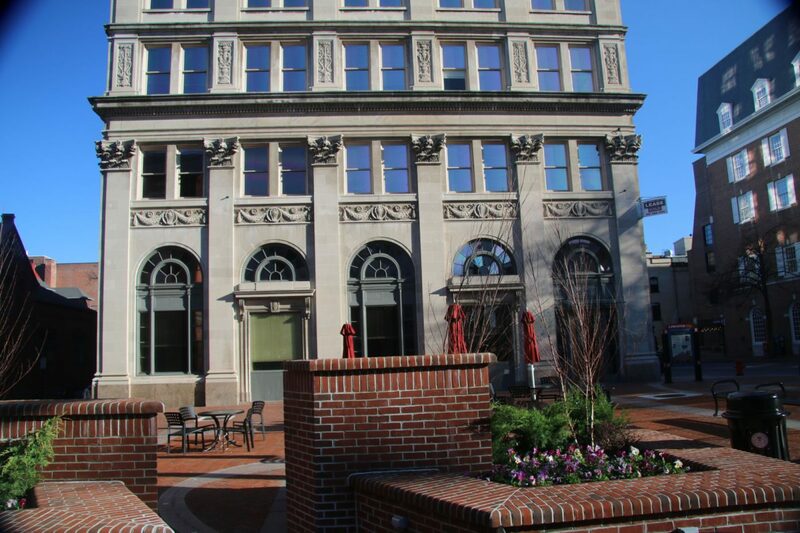 The two story masonry structure, at the corner of Main and Broad Streets, softens the intersection with the curved façade and thoughtful detailing. Although another imposing and impressive design, this bank features generous amounts of windows and natural light. Ephrata National Bank retained Urban to design its new building in 1923. His fourth and final freestanding bank embodies all his knowledge of bank designs to date, and presents another fine example of thoughtful and creative design innovation. 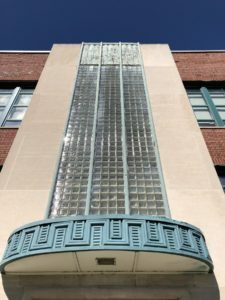 The combination of Vermont marble columns and English bond brick on the façade emulate the Hershey Trust Building, and the eagle perched above the main entry resembles Lititz Springs National Bank. The sky-lit interior, utilizing American walnut millwork, is organized around a 26-ton vault door and frame. More than 10,000 visitors toured the aptly described “landmark of admiration” on dedication day, July 11, 1925! The full article, C. Emlen Urban’s architecture was something Lancaster could bank on, can be found on LNP/Lancaster On-line. Posted on October 14, 2018 by rlps. We may never know what drove C. Emlen Urban in his relentless quest for excellence, but his passion for architectural innovation and experimentation was unparalleled. 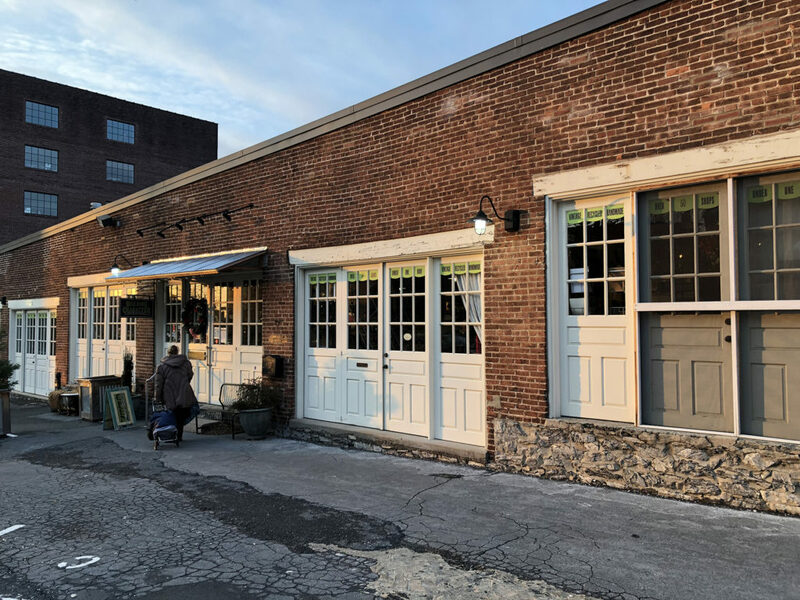 By 1921, the 58-year-old Urban was celebrating his 35th year of practice and had completed well over 130 commissions in Lancaster and Dauphin Counties alone. Department stores and commercial structures were a large part of his portfolio. 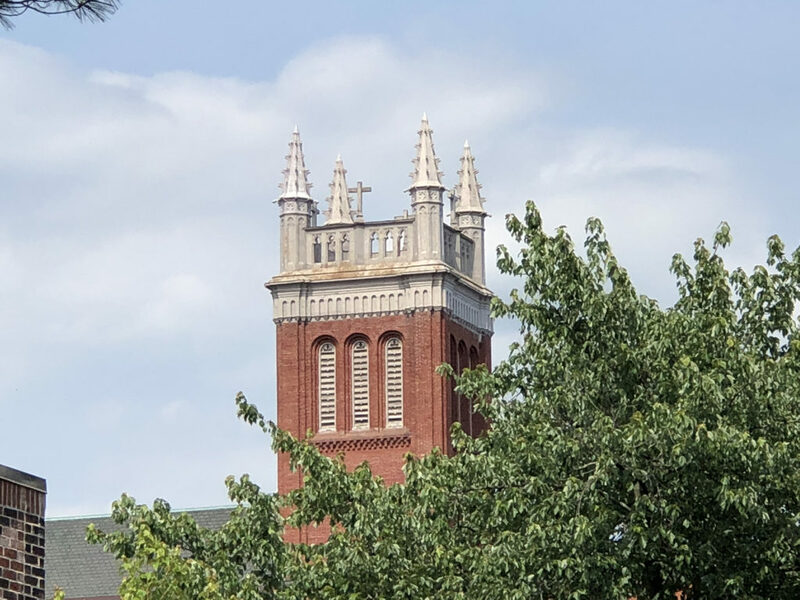 In true Urban fashion, he chose a new and unusual architectural style for German immigrant Miles F. Goodman’s landmark furniture store: Perpendicular Gothic Revival. Addition information and photo are available from the full LNP article Thirty-Five Years Into His Career, Architect Still Designing Outside the Department Store Box. Posted on September 23, 2018 by rlps.